In 2017, FCC Chairman Ajit Pai established the Broadband Deployment Advisory Committee (BDAC) to draft a model code for municipalities that would provide guidance and assist local communities in authorizing wireless and wireline broadband deployment in the public rights of way. 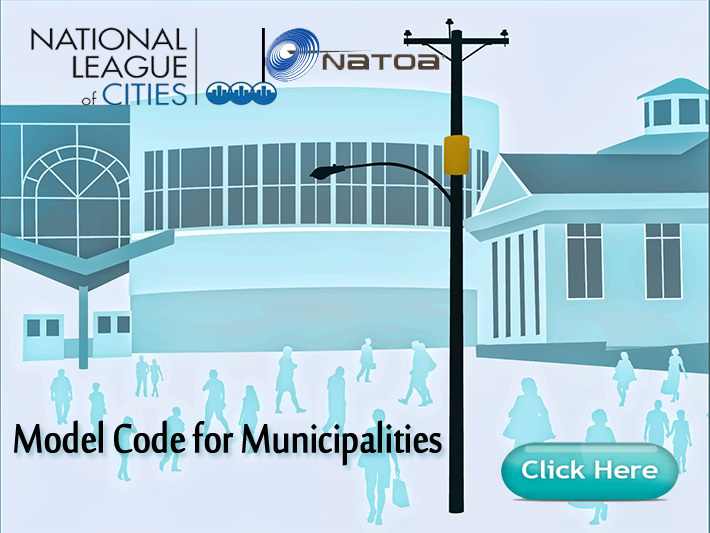 The 41-page draft – still a work in progress – was introduced July 19, 2018, while the National League of Cities (NLC) and the National Association of Telecommunications Officers and Advisors (NATOA) were in the final editorial rewrites of their similar, but considerably shorter 20-page version of their Model Code for Municipalities that was introduced last month. The NLC and NATOA followed the general framework of the BDAC model code, which applies only to wireless and wireline communications providers, including cable operators, telecommunications providers and information services providers. Acknowledging that there is no single model code that will work for every jurisdiction, they suggest that municipalities should review their existing ordinances and policies to determine if this framework is appropriate. The model code points out that municipalities may want to consider whether it would be preferable to adopt a utility-neutral ordinance covering all utilities and communications providers, which would provide one set of “rules” for use of the public rights of way. Also, differences in state laws, local authority and policy choices, existing ordinances and rights of way agreements, among other things, may impact the decision in how to proceed. The BDAC is also working on a model code for state guidelines. Two BDAC municipal members have resigned from the committee, stating that the organization was weighted towards the interests of telecom providers and not municipalities. In April, the BDAC’s former chairman was arrested by federal authorities for allegedly running a scam to have investors contribute more than $250 million to her company, partially based upon her forged documents.